On February 18, Science announced the results of the annual International Science & Engineering Visualization Challenge, 2010 edition. The competition, in collaboration with the National Science Foundation, recognizes the best of the best in creating visualizations that demonstrate scientific principles across a wide range of research fields. The winners spanned medical, environmental science, physics, and astrophysics in categories including illustration, photography, non-interactive multimedia, and informational graphics. Be sure to check out the slide show, especially slide 15, "Non-interactive media: Visualization of the Whole Brain Catalog" for an interesting illustrated journey into the workings of a mouse brain. In pediatric surgery, crystal clear visualizations will be key to allowing surgeons and radiologists to see their surgical fields with greater precision, no matter how small the child or where in the body the surgeon is operating. Today, the engineers and clinicians in the Bioengineering Initiative of the Sheikh Zayed Institute develop ways for existing medical imaging technology to become more precise. This work includes image fusion, which involves overlaying one imaging modality over another for greater depth of vision. Long term, the team plans to investigate effective ways to apply sophisticated simulation tools in training and surgical preparation as well. The images selected by the "Challenge" demonstrate the promise of the latest visualization technologies, which are now capable of recreating in amazing detail the smallest particles and largest scientific quandaries. It's not just the technology, though, but the artistry and creativity in how the technology is applied that makes these images remarkable and innovative. 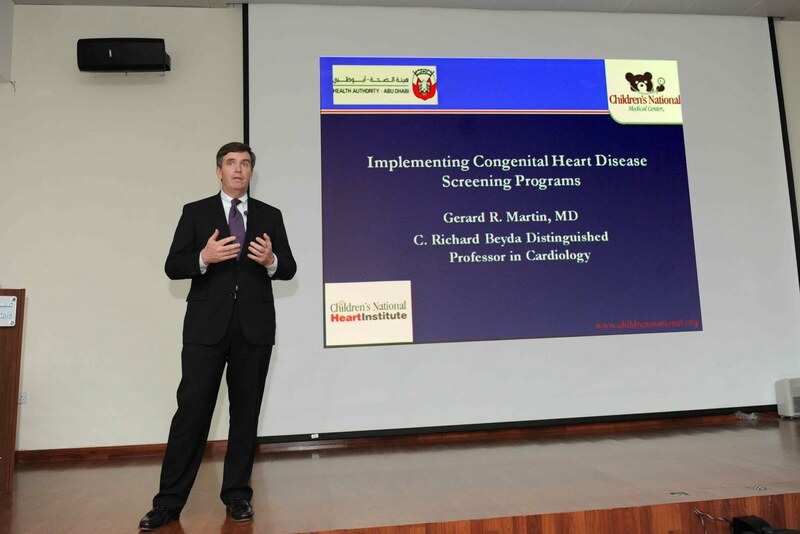 The Health Authority – Abu Dhabi together with Children’s National Medical Center announced the rollout of a newborn screening program in Abu Dhabi for critical cyanotic congenital heart disease (CCCHD), the most serious form of congenital heart disease (CHD). 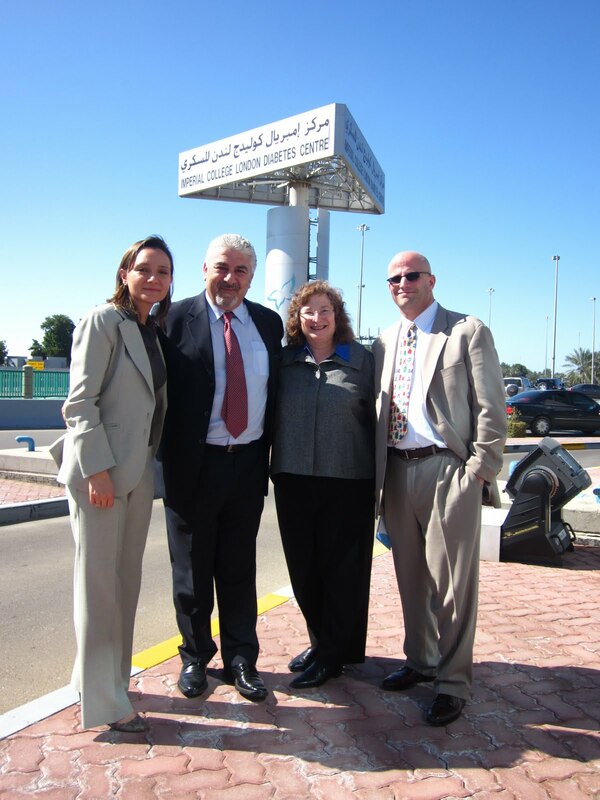 In January, a team from the Children’s National visited all regions of Abu Dhabi to meet with representatives from their twenty-three maternity hospitals and to present the scientific background and methodology of the pulse oximetry screening test. Congenital heart disease is the world's most common birth defect. By using pulse oximetry, HAAD estimates that 10 Abu Dhabi children each year will be diagnosed with CCCHD and will receive treatment early enough to more effectively manage the condition. “This particular test is highly recommended in order to detect critical congenital heart diseases before the newborn is discharged from the maternity hospital. It will be fully integrated into the neonatal screening program, which began implementation in 2010,” said Dr. Shereena Al Mazrouie, Senior Officer of Family and School Health at HAAD. “Diagnosing and treating CCCHD in its early stages is key. That’s why it is so important to have pulse oximetry screening available to all newborns,” said Dr. Gerard Martin, co-director of Children’s National Heart Institute, who conducted the trainings in Abu Dhabi. Research shows that children who are diagnosed with CCCHD later in life tend to require more hospital care, greater resources, and have worse health outcomes long term. 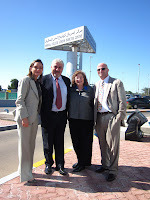 Made possible by a long-standing relationship between HAAD and Children’s Sheikh Zayed Institute for Pediatric Surgical Innovation, this pulse oximetry program is the first in a series of initiatives where HAAD and Children’s National will collaborate to identify improvements in pediatric care to benefit children worldwide.